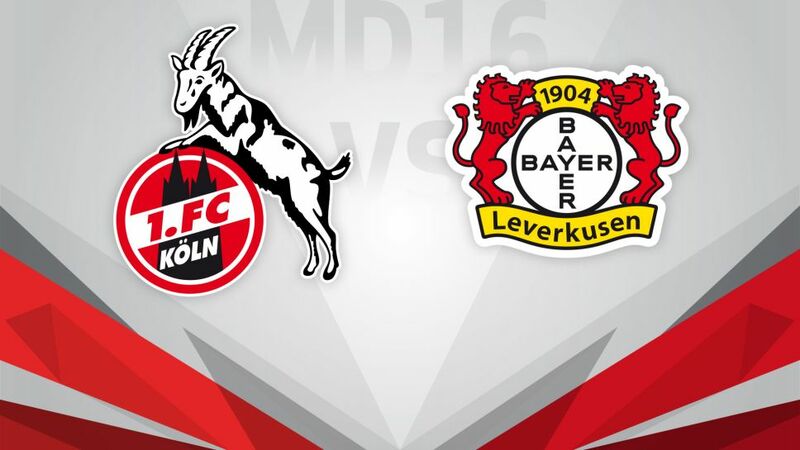 Both Köln and Leverkusen are in need of three points in the Rhine derby. 1. FC Köln welcome local rivals Bayer 04 Leverkusen to the RheinEnergieSTADION on Wednesday night (kick-off 20:00CET/19:00GMT) for what promises to be a feisty Rhine derby. The hosts started the season in fine form and sat as high as second after Matchday 7, but Peter Stöger's side have struggled somewhat since then and come into this one having slipped to seventh, without a win in four games. The Billy Goats' last victory came in another derby against Borussia Mönchengladbach on Matchday 11. A second derby success, this time against Leverkusen, would leave Köln fans reflecting on a satisfying Hinrunde over the winter break. Bayer Leverkusen are also desperate for three points against their local rivals, albeit for different reasons. A home defeat at the hands of FC Ingolstadt 04 on Matchday 15 means that Roger Schmidt's side come into this one in ninth. A winter of discontent beckons in Leverkusen if Die Werkself fail to take three points and cut the gap to both their local rivals and the European places.